You are here: Home > Blog > Flora & Fauna > Robustness and the resilience of woodlands. Our woodlands have been managed largely on the basis of this stability - a relatively constant biological and physical environment. However now, climate change is an established fact and the number of biological threats to our native flora and fauna has increased significantly in recent times. Climate change has seen the advance of Spring and more ‘extreme weather’ [for example, drought, high winds] plus the large scale movement / importation of trees, timber and plants from many different parts of the world has lead to the introduction of various pathogens and pests. Millions of trees have been planted in recent times and have the majority have been imported from various parts of Europe. Pathogens and pests can travel on the imported young trees and / or in the soil. Whilst it is true that seed is not a totally risk free way of importing plant material - it is certainly safer. Raising home grown saplings from seed is certainly something that could be aspired to in the longer term. The ‘limited palette’ of trees in our woodland / forest landscape exacerbates the problems. Five conifer species make up 88% of the coniferous total, and five broadleaf species constitute 72% of the broadleaf population. Thus, a mere ten species account for 4/5 ths of the woodland cover. The introduction of a particular pest or disease can, therefore, have a massive effect on woodlands / conifer plantations - for example, Needle Blight on Corsican Pine, Phytophthora on Japanese Larch, Oak Processionary Moth on Oak, Chalara dieback on Ash. After the last Ice Age, which ended some 12,000 years ago, the English Channel formed (about 8,500 years ago). The formation of the channel limited the movement of species and hence the number of tree (and other plant species) to be found in the British Isles to about some 35 native tree species (many tree and woodland species were still migrating across and through Europe after the retreat of the glaciers). 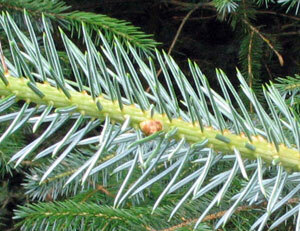 Only three of the trees that arrived were conifers - namely Yew, Scots Pine and Juniper. For many millennia /centuries, the channel continued to act as a natural barrier to the movement of many pests and pathogens. Various species have been added from time to time; for example, the sweet chestnut was probably introduced by the Romans. 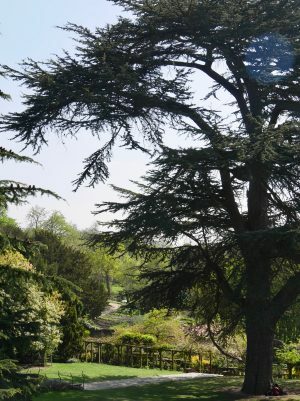 Some ’exotic’ species were brought in by Victorian Collectors to be added to private gardens and arboreta. Various conifer species that were ‘trialled’ by the Forestry Commission did not get wider use - though Coast Redwood, Oriental Spruce, Wellingtonia and the true Cedars are known to grow well. 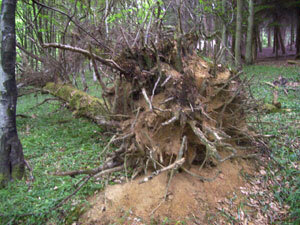 Some native species such as the small leaved lime and hornbeam are not much used in current woodland practice. The physical environment of many woodlands in the British Isles is definitely changing — broadly speaking, there has been an average temperature increase of around 1oC. For every 10 degrees north from the equator you move, Spring now arrives about four days earlier than it did a decade ago, according to a new study. This is three times greater than what previous studies suggested. This change is supported by phenology studies. Bud burst and the opening of oak leaves now occurs some three weeks earlier than it did in the twentieth century. The New Year’s Day survey (undertaken by the BSBI) now regularly finds significant numbers of plants in flower on the first few days of January. But can our trees cope with the changing climate? One challenge is likely to be the frequency of drought years, especially on the eastern side of the country. Sitka Spruce suffers from “drought crack” during times of drought and might not be sustainable as a timber crop later this century. In the West of the UK, a warming climate might allow for increased productivity (growth) BUT it might also allow for more frequent outbreaks of disease and pests. Such considerations should be coupled with inspection of the knowledge / information available about the tree species that might be suitable for planting in different locations. 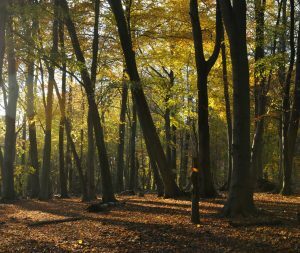 To this end, the Forestry Commission has created a special section on its website that brings together current evidence and information about the tree species that might be used to make woodlands more resilient / robust in the light of change. There is an online free to use online support tool (ESC 3); which offers information on 57 tree species in relation to various environmental parameters (such as nutrient status, soil moisture and exposure). Further information about and links to this tool / system are given below. For users wishing to use web map services (WMS) in their desktop geographical information system (GIS) software (e.g. GGIS from www.qgis.org), the WMS url is http://www.forestdss.org.uk/geoserver/wms (note this link should be used within your GIS not a web browser). No, 1 – sorry typo. an average temperature increase of around Ten degrees centigrade? Surely not.